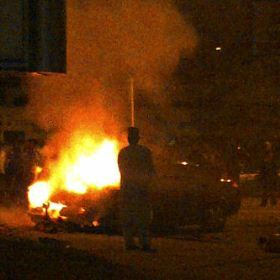 "Today 3rd July 2012 at about 9:30pm, a low level explosion went off somewhere along Aminu Kano Crescent, near Banex Plaza, Wuse 2, Abuja. A crack police team led by the Commissioner of Police in charge of FCT Command- CP Aderenle Shinaba- responded to the distress call, arriving the scene few minutes after the incident. The incident had a zero casualty record- no life lost, no person injured and no car damaged or burnt.